Cantitate: Paleta Iluminatoare Sleek Solstice Highlighting Palette-9g, Paleta farduri Sleek Gleaming In Gold-9g, Ruj semi-mat Sleek Lip Vip Walk of Fame-3.6g, Matte Me Metallic Lip Cream Roman Copper-6ml, Matte Me Lip Cream Vino Tinto-6ml, Creion Waterproof Sleek Eau La Liner Noir-1.1g, Full Fat Lash Mascara-9ml, Sleek Glitter Eyeliner Gold-4ml, Sleek Dip It Eyeliner Black-4ml. Termen de valabilitate: Paleta Iluminatoare Sleek Solstice Highlighting Palette-12luni de la deschiderea produsului, Paleta farduri Sleek Gleaming In Gold-12 luni de la deschiderea produsului, Ruj semi-mat Sleek Lip Vip Walk of Fame-24luni de la deschiderea produsului, Matte Me Metallic Lip Cream Roman Copper-18luni de la deschiderea produsului, Matte Me Lip Cream Vino Tinto-18luni de la deschiderea produsului, Creion Waterproof Sleek Eau La Liner Noir-36luni de la deschiderea produsului, Full Fat Lash Mascara-6luni de la deschiderea produsului, Sleek Glitter Eyeliner Gold-6luni de la deschiderea produsului, Sleek Dip It Eyeliner Black-6luni de la deschiderea produsului. 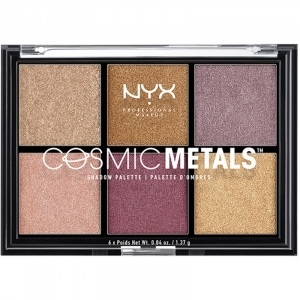 Ingrediente: Paleta Iluminatoare Sleek Solstice Highlighting Palette- Ethylhexyl Palmitate, Mica, Dimethicone, Ozokerite, Isononyl Isononanoate, Caprylyl Methicone, Propylparaben, BHT, CI 77891 (Titanium Dioxide), CI 77491 (Iron Oxides). BAKED POWDER INGREDIENTS: Mica, Dimethicone, Nylon-12, Magnesium Aluminum Silicate, Phenoxyethanol, Methylparaben. (+/- CI 77891 (Titanium Dioxide), CI 75470 (Carmine), CI 77510 (Ferric Ferrocyanide), CI 77491 (Iron Oxides)). PRESSED POWDER INGREDIENTS: Mica, Talc, Magnesium Stearate, Paraffinum Liquidum (Mineral Oil), Ethylhexyl Palmitate, Polybutene, Dimethicone, Methylparaben, Propylparaben, CI 77891 (Titanium Dioxide), CI 77492 (Iron Oxides). Paleta farduri Sleek Gleaming In Gold -Baked Powder Ingredients (shade 5): Mica, Dimethicone, Nylon 12, Magnesium Aluminum Silicate, Phenoxyethanol, Methylparaben, CI 77891 (Titanium Dioxide), CI 77491 (Iron Oxides), CI 77499 (Iron Oxides). Pressed Powder Ingredients (other shades): Mica, Talc, Mineral Oil, Magnesium Stearate, Ethylhexyl Palmitate, Calcium Sodium Borosilicate, Dimethicone, Methylparaben, Propylparaben. (+/- CI 77891(Titanium Dioxide), CI 77491(Iron Oxides) ,CI 77492(Iron Oxides) ,CI 77499(Iron Oxides)). Ruj semi-mat Sleek Lip Vip Walk of Fame - Ricinus Communis (Castor) Seed Oil, Ethylhexyl Palmitate, Cera Alba (Beeswax), Copernicia Cerifera (Carnauba) Wax, Silica, Euphorbia Cerifera (Candelilla) Wax, Caprylic/Capric Triglyceride, Kaolin, Hydrogenated Coconut Oil, Butyrospermum Parkii (Shea) Butter, Simmondsia Chinensis (Jojoba) Seed Oil, Tocopheryl Acetate, Aroma (Flavor). (+/- CI 15850 (Red 7), CI 15850 (Red 6), CI 77891 (Titanium Dioxide), CI 42090 (Blue 1)). 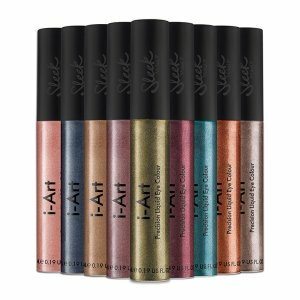 Matte Me Metallic Lip Cream Roman Copper - Isododecane, Mica, Octyldodecanol, Hydrogenated Styrene/Isoprene Copolymer, Stearalkonium Hectorite, Alcohol, Aqua (Water) Dicalcium Phosphate, Pentaerythrityl Tetra-di-t-butyl Hydroxyhydrocinnamate, Calcium Aluminum Borosilicate, Synthetic Fluorphlogopite, Calcium Sodium Borosilicate, Tin Oxide, CI 77491 (Iron Oxides), CI 77891 (Titanium Dioxide), CI 77492 (Iron Oxides). Matte Me Lip Cream Vino Tinto - Isododecane, Octyldodecanol, Mica, Hydrogenated Styrene/Isoprene Copolymer, Dicalcium Phosphate, Stearalkonium Hectorite, Alcohol, Aqua (Water), Pentaerythrityl Tetra-di-t-butyl Hydroxyhydrocinnamate, Calcium Aluminum Borosilicate, Synthetic Fluorphlogopite, Calcium Sodium Borosilicate, Tin Oxide, CI 15850 (Red 7), CI 77891 (Titanium Dioxide), CI 45410 (Red 28), CI 42090 (Blue 1), CI 15850 (Red 6). Creion Waterproof Sleek Eau La Liner Noir - Dimethicone, Trimethylsiloxysilicate, Synthetic Wax, Bis-diglyceryl Polyacyladipate-2, Polyethylene, Phenylpropyldimethylsiloxysilicate, Polyhydroxystearic Acid, Disiloxane, Caprylyl Trimethicone, Disteardimonium Hectorite, Propylene Carbonate, Lecithin, Tocopherol, Ascorbyl Palmitate, Citric Acid, BHT, CI 77499 (Iron oxides), CI 7510 (Ferric Ferrocyanide). 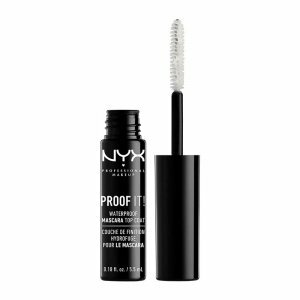 Full Fat Lash Mascara - Aqua (Water), Acrylates Copolymer, Cera Alba (Beeswax), Copernicia Cerifera (Carnauba) Wax, Palmitic Acid, Stearic Acid, Triethanolamine, Cetyl Alcohol, Phenoxyethanol, Cellulose Gum, Magnesium Aluminum Silicate, Ethylhexylglycerin, Panthenol, Disodium EDTA, CI 77499 (Iron Oxides). Sleek Glitter Eyeliner Gold - Aqua (Water), Polyethylene Terephthalate, Propylene Glycol, VP/VA Copolymer, Carbomer, Phenoxyethanol, Caprylyl Glycol, Polyurethane-11, Disodium EDTA, Mica, Ethylhexylglycerin, Laurtrimonium Chloride, CI 77491 (Iron oxides), CI 19140 (Yellow5), CI 77000 (Aluminum powder). 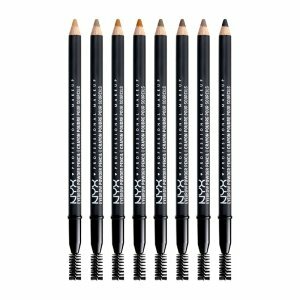 Sleek Dip It Eyeliner Black - INGREDIENTS: Aqua (Water), Acrylates Copolymer, Propylene Glycol, Caprylyl Glycol, Phenoxyethanol, Xanthan Gum, Disodium EDTA, CI 77499 (Iron Oxide), CI 77266 (Nano) (Black 2).